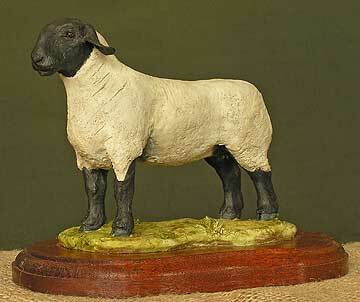 The Suffolk is a polled breed, with a distinctive all-black head and legs, and single colour close cropped white wool. Valued as a terminal sire for early maturing lambs for the valuable spring market. 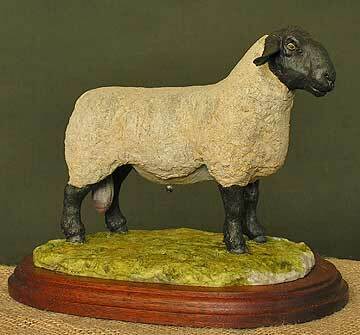 An early model sculpted for a friend from his Royal Show winning ewe lamb. All measurements include the polished wooden base. Post and packaging is not included in the above price.